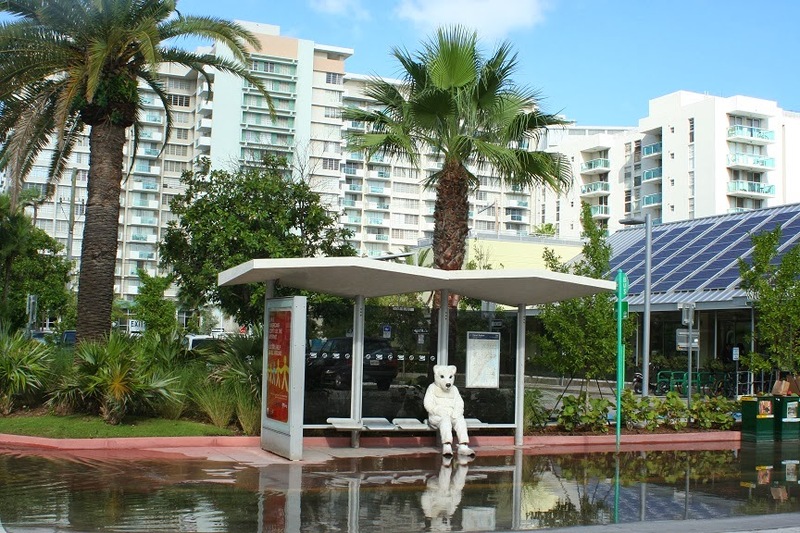 Floridians who want to act on sea level rise should not forget what got us here: carbon. Adaptation is good, but carbon is king. Fortunately, President Obama is getting tough on carbon as promised in his inaugural address. Last month, the Environmental Protection Agency (EPA) announced it will regulate carbon for new power plants, effectively eliminating coal, cause of the worst of the greenhouse gasses. Next year, it will regulate carbon from existing power plants. 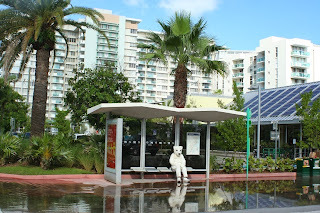 Polar bear waits for a bus in salt water on South Beach. The coal industry and its allies will try to stop the EPA from enforcing the rule, sacrificing Florida’s coasts in the process. Some say a certain amount of sea level rise is already “baked in,” but our ability to curb carbon going forward could make a real difference in the rate and amount of sea level rise and the severity of its impact. This month, Sierra Club joined Surfrider, the Union of Concerned Scientists, and the CLEO Institute in Miami to present the movie Shored Up, about the aftermath of Superstorm Sandy. We collected comment cards in support of the EPA's carbon rule. After the one year anniversary of this devastating event, Floridians need to remind themselves sea level rise and superstorms are not going away, but we can temper their impact by regulating carbon now. Send your comments to the EPA today. Sadly, Florida was not among the eight states that announced a partnership to put 3.3 million new zero emission cars and trucks on the road by 2025. Last week California, Connecticut, Maryland, Massachusetts, New York, Oregon, Rhode Island, and Vermont announced a bevy of new programs that will support electric vehicle adoption, many of which have already proven successful in California. These new programs include strong financial incentives, EV-ready building codes, purchasing of electric vehicles for public fleets, special EV electricity rates, and better standards for charging stations. The first step in the process is to establish a taskforce to share ideas that will help promote the adoption of zero emission electric vehicles. The agreement also targets hydrogen fuel cell vehicles. Not surprisingly, California is the leader in this initiative because of their strong Zero Emission Vehicle (ZEV) mandates which other states have agreed to adopt. They are also miles ahead with their expansive charging infrastructure, consumer incentives, and other EV-friendly policies. They've proved the "chicken and egg" argument about which should come first, the car or the infrastructure, to be arbitrary. These two things can only happen in tandem. California has also proven that when there is a political will, there is a way. The need to clean up air pollution, reduce dependence on oil, and protect consumers from volatile gas prices provided the impetus and state leaders chose to act. The announcement last week by eight forward-thinking governors to follow the lead shows a commitment to take the same successful measures that produced successful results and replicate them in their home states. Florida, on the other hand, has left consumer incentives to the near-bankrupt local governments and has very little EV friendly policies in place, particularly in the infrastructure realm. Electric vehicle sales are growing exponentially across the country and Florida now sits at a comfortable #4 in sales, which isn't bad. However, it is still not convenient for drivers that either commute long distances or wish to take long trips to own an EV because of the lack of infrastructure. The need for better incentives and for fast charging locations along interstates is clear and urgent if we want to move the market past early adopters. It's also important to remember the bigger picture: Florida is helplessly addicted to oil and vulnerable to those who advocate for more offshore oil drilling. Each gasoline-powered vehicle that we replace with a zero emission one, we'll see positive, measurable results in oil consumption and a reduction in harmful air pollution. An electric vehicle can also reduce greenhouse gas emissions by 35-60% depending on where you live (according to the Union of Concerned Scientists "State of Charge" report). Bottom-line: electricity is the only transportation fuel that will only get cleaner over time especially as we retire dirty coal-fired power plants and bring more clean, renewable sources of energy online. Florida could benefit tremendously by following the example of California and the other seven states that have committed to spur electric vehicle adoption. There is a lot at stake and the sooner we embrace this clean technology, the better. Want to take action? Follow this link to send a message to the Rick Scott Administration asking them to support electric vehicle programs in Florida. Here is the idea: Bring representatives of the many water quality advocacy organizations from around the state together in one place for a day of planning. The ultimate goal: Send summit attendees back to their respective organizations with the tools and contacts to organize coordinated regional and statewide action. The Citizens’ Clean Water Summit is a collaborative effort – the Planning Team, growing every day, is comprised of activists from Sierra Club, St. Johns Riverkeeper, Florida Wildlife Federation, Center for Earth Jurisprudence, IDEAS for Us, Conservancy of Southwest Florida, Earthjustice, Mother Ocean, Clean Water Action, Florida Defenders of the Environment, Howard T. Odum Florida Springs Institute Inc., Indian Riverkeeper, League of Women Voters of Florida, Marine Resources Council, Pelican Island Audubon Society, Putnam County Environmental Council, REEF RELIEF, Wakulla Springs Alliance, Marine Cleanup Initiative, Inc., Save the Manatee Club and more. Please don’t miss this opportunity – we need your group’s participation! Register by MAIL CLICK HERE! DEADLINE to register: Close of business on 11/7/13. $10 includes lunch and admission to the event. Seats are limited so reserve now! Coffee, tea and networking will begin at 8:30 a.m.
We are facing a crisis. Billions of gallons of polluted water are being discharged out of Lake Okeechobee into the Caloosahatchee and St. Lucie estuaries. This polluted water threatens human health, kills fish and wildlife, triggers toxic algal blooms, and is devastating to local economies that depend on a healthy estuary. Due to the current water management operations, the residents and businesses along the St. Lucie River, Indian River Lagoon, and Caloosahatchee River are suffering greatly, and have been for many years as a result of policy decisions that seek to insulate interests in the Everglades Agricultural Area (EAA) from any adverse impacts that are the result of natural flooding and the loss of natural wetlands. We recognize and appreciate the actions of Gov. Rick Scott to invest $40 million to accelerate construction of critical storm water treatment structures as part of the C-44 reservoir project along the St. Lucie River, and $90 million to fast track the next 2.6 miles of Tamiami Trail bridging. However, there are no quick and easy solutions. The devastating discharges will continue until Everglades restoration is fully implemented. We must be vigilant about implementing long-term solutions, and we call on the state of Florida and the U.S. Army Corps of Engineers to take actions today to minimize the immediate harmful impacts of these discharges in a manner that reflects the principle of shared adversity. Given the current state of our water management system that has fundamentally altered our environment, we cannot ultimately solve this problem through short-term fixes. However, there are a number of steps the state and federal governments can take to reduce the discharges and the resulting economic, environmental and social damage. · Identify and secure, through purchase or cooperative agreement, lands throughout the greater Everglades ecosystem on which water can be stored to reduce flooding and minimize damaging discharges from Lake Okeechobee to the coastal estuaries. · The U.S. Army Corps of Engineers (“Corps”) and the South Florida Water Management District (“SFWMD”) provide operational flexibility in the Kissimmee basin and upper chain of lakes to hold water higher in lakes earlier in the season to store additional water in the headwaters of the greater Everglades ecosystem. · Require the inspection and repair of septic tanks to protect public health and to prevent algae blooms. Provide support and incentives for septic-to-sewer projects. 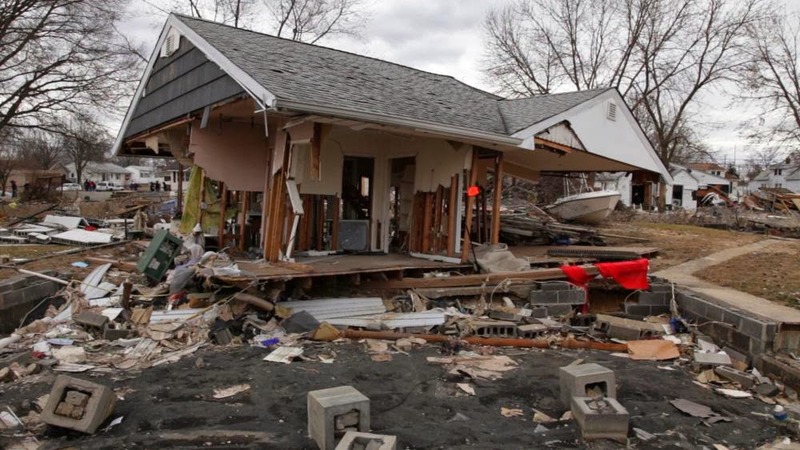 · Support strict rainy-season bans on the application of nitrogen and phosphorus urban fertilizers like those recently adopted by Martin and Indian River Counties. Fertilizer-laden stormwater runoff feeds the toxic and nuisance algae that kill manatees, dolphins, shorebirds, fish and the sea grass that is necessary to support marine fisheries. o Coastal and upstream counties and municipalities in the region should adopt similar strict rainy-season bans immediately. o The Legislature should halt its efforts to preempt local government control of urban fertilizer management. The only real solution for protecting our rivers and the economies that they generate is ecosystem restoration. o Everglades Agricultural Area (EAA) Lands Acquisition: Work with US Sugar and other willing sellers in the EAA to acquire lands to restore a flow path south of Lake Okeechobee sufficient to store, cleanse and convey at least 1.5 million acre-feet of water. o CEPP: The South Florida Water Management District and the Corps must meet the December 31st deadline to finalize plans for the Central Everglades Planning Project (CEPP). CEPP, in conjunction with bridging Tamiami Trail, is the key next step to divert and clean Lake Okeechobee discharges away from the Caloosahatchee and St. Lucie, and restore freshwater flows into the central Everglades. If we miss this deadline, we may need to wait years for federal authorization. o C-43: This reservoir along the Caloosahatchee, designed to store up to 170,000 acre-feet of water, will intercept local runoff and hold it for dry season flows utilizing lands already purchased by the South Florida Water Management District. Governor Scott and State legislators must urge Congress to pass the Water Resources Development Act, which will authorize various restoration projects. o C-44: Construction of 3,400 acres of storage and 6,300 acres of Stormwater Treatment Areas (to clean polluted water) is already underway. The state and federal governments must work to complete this project as soon as possible. · Governor Scott must support the use of federal funding from the RESTORE Act to help finance the immediate construction of C-43 (Caloosahatchee) Reservoir and the Tamiami Trail 2.6-mile bridge, which is included in the Department of Interior’s “Next Steps” project benefiting Everglades National Park. 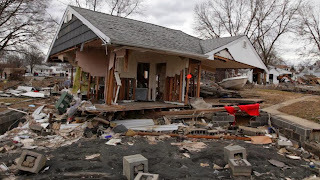 · Increase state funding for restoration and associated initiatives. A surplus of state funds is available. We are in crisis today - the time for investment is now. o Fund Florida Forever: The Florida Department of Environmental Protection and South Florida Water Management District are reliant upon Florida Forever to purchase additional lands for water storage and treatment throughout the Everglades ecosystem. Florida Forever acquisitions offer an excellent opportunity to both preserve natural Everglades habitats and retain water in wetlands. There are proposals on the Florida Forever list benefiting Lake Okeechobee and the estuaries include Blue Head Ranch, Panther Glades, Adams Ranch, Fisheating Creek Ecosystem, Estero Bay, and Holeyland and Rotenberger Wildlife Management Areas. o Fund implementation of the Northern Everglades and Estuaries Protection Plan, the Caloosahatchee River Watershed Protection Plan and the St. Lucie River Watershed Protection Plan which emphasize the need for water storage and treatment on private and public lands, associated construction projects, and improved Best Management Practices to reduce nutrient-laden farm runoff. · Support and direct the Florida Department of Environmental Protection to resume and finalize development of updated statewide stormwater regulation for new development and to implement in a timely manner to ensure all new developments remove at least 80% of both the Total Nitrogen and Total Phosphorus they generate. · Direct the Florida Department of Environmental Protection to set measurable, enforceable nutrient pollution limits for all of Florida's waters to stop pollution at its source. · Direct the Florida Department of Environmental Protection to create a statewide database to track and address wildlife and public health impacts from harmful algae. Sierra Club Loves Science (and Electric Vehicles)! The Sierra Club’s Suncoast group and the Florida Healthy Air campaign teamed up to educate 4th-8th grade students about the science behind the electric vehicle at the St. Petersburg Science Festival on Friday, October 18. The Third Annual Festival “celebrated the wonders of hands-on science, technology, engineering and math with interactive, fun exhibits and activities for the family.” The Sierra Club’s exhibit focused on how renewable energy can power an electric motor and how electric vehicles use energy stored in their lithium-ion battery pack to power the engine. The students had an opportunity to see up-close the engine of an electric vehicle, which is very different than that of an internal combustion engine. An electric vehicle uses potential energy stored in their battery to power the engine but also has the ability to create its own energy via regenerative braking. Regenerative braking is a highly efficient process that recaptures the kinetic energy that is normally lost as heat while braking in a conventional car. The captured energy is converted to electricity and is used to recharge the battery which helps to extend the range of EVs, especially in stop-and-go traffic. Students were allowed to sit inside the vehicle, plug-in the charging cord, and see inside the engine which has very little moving parts. Most were impressed and surprised at how virtually silent the engine is while turned on and couldn’t detect the engine being turned on or off. Lisa Hinton, Chair of the local Suncoast Sierra Club group, also stressed that an electric vehicle lacks one thing that a conventional car has: a tail-pipe! She explained that the electric vehicle can help reduce the harmful air pollution that plagues our community and makes us sick while protecting the environment from the dangers of drilling for more oil. The most critical lesson of the day is that electricity is the only transportation fuel that will not only get cleaner over time but has the possibility of becoming net zero when renewable energy is introduced in to the equation. Important distinctions were drawn between dirty fossil fuels that power most of our cars today and the potential of solar powered transportation that can take us in to a clean energy future. They learned that in order for this change to take place we need to change the minds of the public and get them to turn away from their dirty gasoline-powered engines and invest in an electric car whenever possible. We hope that the students bring home this important lesson to their parents and they consider an EV when purchasing their next vehicle. Our lungs and our environment will thank them! I went to listen and learn as an organizer for the Sierra Club’s Florida Beyond Coal Campaign. I realized that this particular conference would be dominated by interests that are still bound to old polluting energy sources such as coal and natural gas. Still, I wasn’t quite ready for the magnitude of this shortsightedness. The business-as-usual perspective was reflected in the very first panel on the future of Florida’s energy infrastructure. Despite the potential of our state to become a solar energy leader, the presupposition was that we should increase our reliance on natural gas. (Rep. Michelle Rehwinkel Vasilinda, D-Tallahassee, tweeted that Putnam has "come up with some strategic ideas," but that "this investment in natural gas will backfire as dependence." As an energy consumer in Duke Energy’s service territory, it frustrates me no small amount that three-fourths of the electric power Duke Energy supplies in Florida is produced by gas-fueled plants. As with coal, buying natural gas for power sends billions of dollars out of state. Further, if natural gas prices increase at some point over the next few years, relying so heavily on natural gas will drive power prices up, hurting Florida’s businesses and ratepayers. Also not insignificant is that natural gas – like coal – contributes to climate change. But if Duke continues on its current path, natural gas use could increase over the next several years. Why? 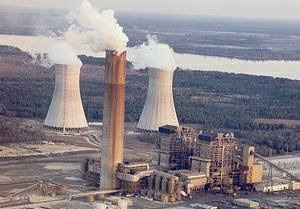 Although Duke Energy is stalling, it will at some point have to retire the two oldest coal-burning plants at Crystal River. That’s a good thing that the Florida Beyond Coal Campaign is working to accelerate: Duke Energy’s Crystal River power plant is one of the nation's dirtiest and is Florida’s top source of toxic mercury pollution. Retiring these coal units by 2016 will clear the path to clean, local energy. However, if Duke does as it has indicated, it will build a large new gas-burning plant. This again begs the question: why not clean, homegrown solar in the Sunshine State? It is confounding that solar represents less than one percent of Duke Energy’s electricity production here. To me, there is a clear and compelling case for Duke to move toward solar. In addition to providing energy that is good for human health and the environment, solar production boosts Florida’s economy. A nationwide study by the Apollo Alliance found that clean energy such as solar generated 40% more jobs per dollar invested than coal. The upshot is that when communities transition from fossil fuels to solar it creates jobs and bolsters the local tax base. And yet only one participant on one panel at the Florida Energy Summit had the opportunity to talk about building this future. As I drove home, I started looking forward to future Florida Energy Summits. It may take a little time, but it will be satisfying to watch the landscape change. Today's Tampa Bay Times includes a thoughtful editorial focusing on the need to overhaul the way Florida regulates utilities. The Florida Chapter's Panther Critical Habitat Campaign is partnering with Preserve our Paradise to stop Big Oil from leaving its dirty footprints all over Golden Gate Estates in Naples, where a Texas-based oil company wants to drill an area just one mile from the Florida Panther National Wildlife Refuge and within 1,000 feet of residences. Grassroots opposition is beginning to grow. Last month, more than 100 people protested at the Naples Pier, erecting a symbolic oil well in front of Governor Rick Scott's beachfront home. The controversy has prompted the Environmental Protection Agency to agree to hold a public hearing later this year. The battle first began when the Dan A. Hughes Company leased over 100,000 acres at the Naples site and submitted a drilling proposal. To placate the public, the state Department of Environmental Protection (DEP) hosted a hearing last month, which ended up being "poorly executed," according to Alexis Meyer, a Sierra Club organizer for the Panther Critical Habitat Campaign. "No one was able to hear questions or answers, people crowded around tables, officials were unable to answer, and citizens left feeling ignored and frustrated," she said. Unsurprisingly, the DEP moved ahead and approved the permit request. Despite the proximity of the proposed oil wells to prime panther habitat, "no biological opinions or environmental assessments have been done for this project," said Meyer. "Since this project would affect a federally protected endangered species, there is a concern that these companies are not following proper regulations." According to the Tampa Bay Times, the oil company's permit request met DEP's criteria even though "none of those requirements involves staying away from where people live." And a specific distance to homes is not mentioned in the rules. Locals hope federal protections for the panther will give them the leverage they need to fight back since the state agency has done little. The DEP has approved more than 40 oil drilling permits -- while denying none -- over the past five years. Activists think this will be a wake-up call to spark grassroots action and instill a sense of urgency among locals. 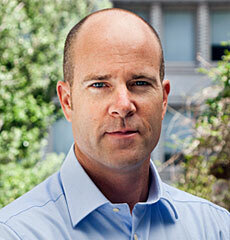 "The oil well is only the tip of the iceberg for southwest Florida," said Meyer. "Opening up this site to drilling endangers Florida panthers, the watershed, our aquifers, and violates environmental justice for local residents. It's sets a precedent to open more land for drilling at a time when we should be looking toward clean, sustainable energy alternatives such as wind and solar." Saturday, October 12th at 11AM. the 1.7 million customers almost $2,000 in higher electric bills. Scheduled Speakers include FL State House Members Dwight Dudley and Carl Zimmermann. Great news: In the past three years, 150 coal-fired power plants either have been retired or have announced a retirement date.Plant number 150 was Brayton Point in Massachusetts. Like lots of people, I enjoy tracking things by the numbers. If you have a quantifiable goal, reaching a big round number is a good time to reflect both on how far you've come (and still have to go). For the Sierra Club and our local, regional, and national allies, reaching this milestone of 150 coal plants means that we're further along in our campaign to get America completely off coal-fired power by the year 2030 than almost anyone believed possible just a few years ago. To put it in perspective, just three years into a 20-year campaign, we've already secured the retirement of nearly 30 percent of the nation's coal-fired power plants. The most important numbers, though, don't tally the number of coal plants retired. They tell us how our world will change simply by not burning coal. Much of that change can be measured by what won'toccur. With 150 fewer coal plants, 4,000 Americans won't die as a result of coal pollution each year. More than 6,000 heart attacks and 66,000 asthma attacks will never happen. Americans won't have to pay $1.9 billion in annual health costs. As for the personal suffering and heartbreak that those 150 plants will no longer cause -- I don't think there's even a number for that. Something we can measure, though, is the positive change to our nation's energy future. As we've retired 58,000 megawatts of coal power, we've also added more than 66,000 megawatts of clean energy like wind and solar -- enough to power the equivalent of 15 million American homes. Across the country, this growth in clean energy is creating local jobs -- nearly 200,000 so far -- while providing clean, affordable energy and dramatically reducing the carbon pollution that threatens our climate. As far as we've come, though, and as much as we've accomplished, I'm even more excited about the future beyond coal plant number 150. The transition from coal is gaining momentum for several reasons. First, the grassroots movement that is the heart of the Beyond Coal campaign is gaining strength and diversity as entire communities realize they can cast off the curse of coal. Second, the steadily falling cost of renewable energy resources such as wind and solar has made it even easier to replace coal with clean, non-polluting power. And last but not least, the long-overdue regulation of carbon pollution from old, out-of-date coal-fired power plants is going to tilt the energy economics even more decisively toward cleaner sources. The Beyond Coal campaign could never have reached this milestone so quickly without the hard work and passionate dedication of many, many people -- all of whom deserve to feel proud about what we've accomplished together -- and even prouder about the great things we're going to do next. You can count on it. SAN FRANCISCO, CA -- Today the Sierra Club and a growing coalition of local, regional and national allies announced the retirement of its 150th coal plant -- a significant milestone in the ongoing campaign to move the country beyond coal no later than 2030. With today’s announcement that the Brayton Point Power Station in Massachusetts would retire by 2017, the campaign officially marked 150 coal plants that have announced plans to retire since 2010. According to the Clean Air Task Force, retiring these 150 coal plants will help to save 4,000 lives every year, prevent 6,200 heart attacks every year and prevent 66,300 asthma attacks every year. Retiring these plants will also avoid $1.9 billion in health costs. Sierra Club has made the announcement public via a video on YouTube featuring a special acoustic performance by indie alternative group Nico Vega. “The closure of the Brayton Point Power Station is a powerful example of how local action can have a global impact," saidMichael R. Bloomberg, philanthropist and Mayor of New York City. "Over the last three years, action by individual communities - in partnership with the Sierra Club and Bloomberg Philanthropies - has led to the closure of 150 coal plants, one at a time. We will continue to support those who are on the ground working to close the nation's dirty coal plants, which kill 13,000 Americans every year and threaten the future of our planet." "New England is leading the nation in the move away from dirty coal and toward innovative renewable energy solutions like our growing offshore wind industry," said James McCaffery, New England Beyond Coal campaign representative for the Sierra Club. "This is a testament to the great work of local residents who have been fighting to clean up the air in the region for more than a decade,"
The coal industry is facing multiple threats, including rising coal costs, falling clean energy prices, a motivated grassroots coalition of organizers working to move the nation off coal, and the growing national demand to tackle climate-disrupting carbon pollution from coal plants, which was the centerpiece of the climate strategy President Obama announced in June. With strong carbon pollution standards in place, these coal plants must either clean up their pollution through modern pollution controls, or transition away from burning dirty coal. Indeed, as utilities and energy companies realize that coal is an increasingly bad investment, they are transitioning their resources to cleaner, renewable sources of energy like wind and solar. Today, the United States has more than 60,000 megawatts of installed wind capacity, enough to power the equivalent of 15 million American homes. In fact, the state of Texas produces so much wind energy, that if Texas were a country, it would be the world's sixth ranking wind energy producer. Meanwhile, states across the country are already being powered by renewable energy. In 2012, Iowa and South Dakota received more than 20 percent of their energy from wind, and nine states produced more than 10 percent of their electricity from wind energy. What’s more, this year the U.S. joined three other countries with more than 10,000 megawatts of installed solar capacity. Solar is the fastest growing energy option in the US, and in states like New Jersey, North Carolina, California and Illinois, solar power is both creating local jobs and providing clean, affordable electricity. This growth in clean energy has helped to create more jobs across the country. Clean energy industries now employ nearly 200,000 Americans.